Kathmandu—The 2nd Nepal Investment Summit 2019 has kicked off at Hotel Soltee Crown Plaza in Kathmandu today. 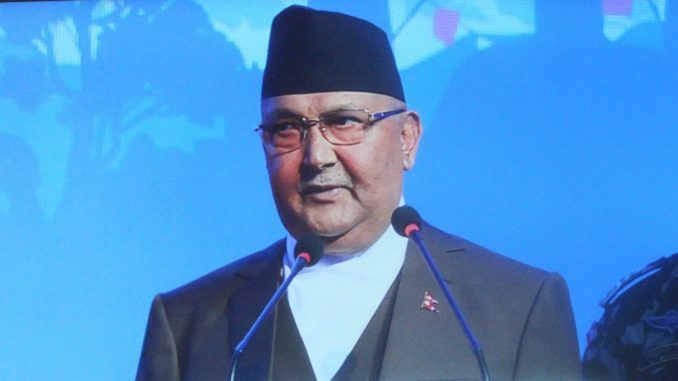 Prime Minister KP Sharma Oli inaugurated the summit. A total of 77 projects- 50 from government side and 27 from private sector are to be showcased during the summit that will be concluded on Saturday. More than 600 investors from 40 different countries are taking part in the summit. Delivering welcome speech Finance Minister Dr. Yubaraj Khatiwada informed about the some projects which will be helpful to fulfill the Nepal’s dream of happy Nepali and prosperous Nepal. Addressing the summit, PM Oli requested all the investors to invest Nepal without any hesitation. PM Oli claimed that there is now political stability following the promulgation of new constitution in Nepal so, according to him, this is the right time for investment in Nepal. PM Oli said that the hydro electricity, tourism, infrastructures, IT and industrial sectors are some of the potentials sectors to invest in Nepal. He further added that the government is working for 2 digit economic growths but capital from Nepal alone is not enough to achieve that target. PM Oli also said that the government has amended some laws to create conducive environment to invest in Nepal. “Nepal is virgin land to invest,’ he said, there would be no problem to take any dividend out to the investor’s nation.